So I’m uploading the photos for this post and it’s taking forever and I’m all like “I’ll just open a new tab and head over to Pinterest for a minute…” ((((time stops)))) An hour and 10 minutes later – here I am. With mascara smudged all over my face because I laughed so hard I cried. Four times. True story. The great news about ice cream is that you can eat it when low carbing. The bad news is that most store bought ice creams are made with at least some milk which contains carbs from lactose sugar. On top of that it’s made with strange unpronounceable goo to make it taste and feel sort of like the real thing and that’s just scary. So your best bet is to make it at home. 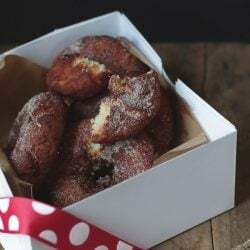 Even then, it’s hard to get the right consistency with just cream and no sugar – I know this from experience because I’ve had a few fails in the last month that I never even bothered posting. As a side point – I really need to do one “epic fail” post of all the lousy stuff I’ve made that you never see here just for fun! While I’m at it I could post photos of my kitchen and the giant pile of dishes that results from these cooking sprees I go on. And of me, still in my jammies and a ponytail, typing up posts after crazy day of said cooking and photographing. Of course all that would ruin your illusions that I’m like this amazing cooking savant who whips up delicious and beautiful food with zero effort on a daily basis while dressed to the nines and in a sparkling clean kitchen. Yeah. Forget I said anything – just keep on thinking that! ha ha! No pink and orange polka dotted pj’s and unshaven legs here…..nope…..perfectly groomed and coiffed and all that…. Anyway, success when it finally comes is oh so sweet – just like this amazing ice cream! If you don’t have an ice cream maker, you can try just freezing it and mixing every 15 minutes but it probably won’t be as creamy! If you do have one, hooray! Read on! 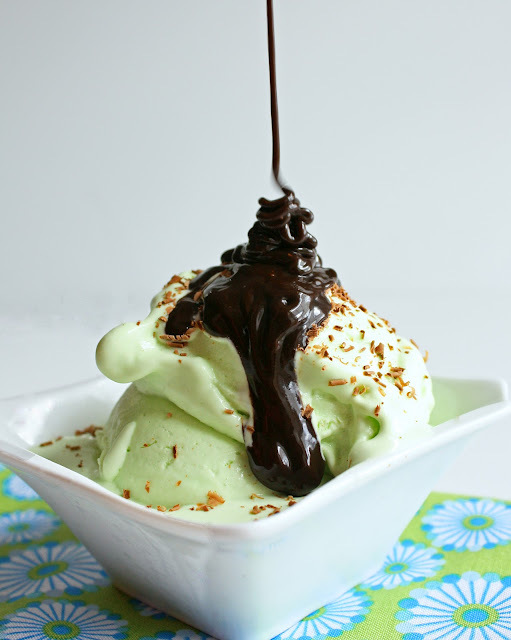 Download my e-cookbook, The Gluten Free Low Carber for more awesome ice cream recipes! 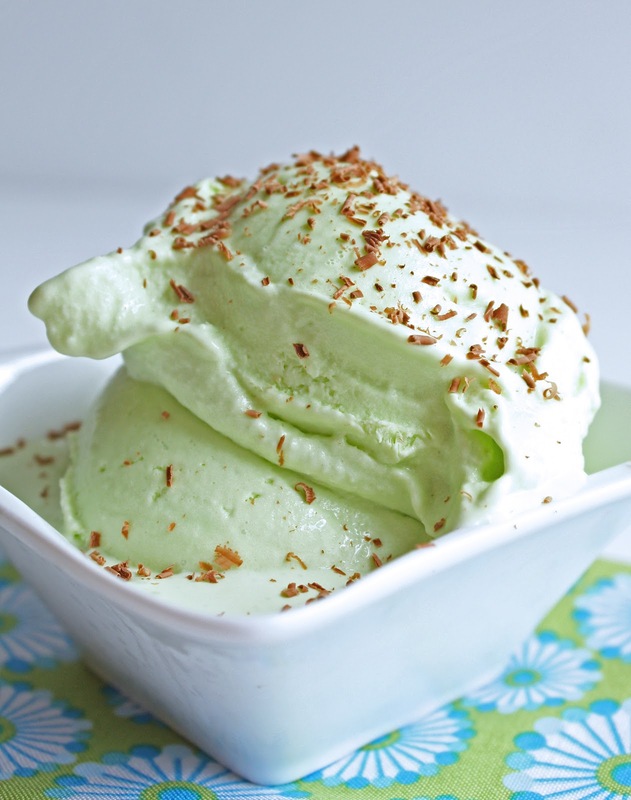 Being a big fan of yours, and always checking out and cooking your recipes, I came across this wonderful recipe for mint ice cream. Noticing its been posted on your blog since 2014 (it’s now 2017), I realize many sugar-free options have changed. I know Torani SF syrups are wonderful but use Splenda as their sweetener. I am not a fan of Splenda. In fact I use Swerve or Stevia only. Back in ’14 I don’t think these two sweeteners were as well known or used. Consumers were just getting the idea that natural sweeteners were a much healthier option. In fact, I reached out to Torani and asked them about changing the Splenda to Swerve. I received a very prompt and positive response letting me know they were in the process of considering an alternative to Splenda. So in conclusion, could I use natural mint extract along with liquid Stevia or Swerve to get at least similar tasting results for my ice cream? I am willing to experiment with the amounts to use. 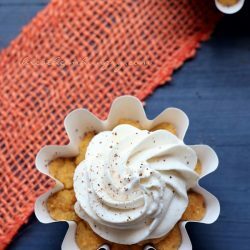 I am curious to hear your take on this, since its 3 years that you posted this recipe. Thanks for all your hard work and gorgeous pics. You really help me with keeping my diet low carb. Yes a mint extract and different sweetener would certainly work! I understand you don’t like splenda…..I love splenda….Swerve is pretty good…but it does give off cooling sense in my throat…and seems to make my throat sore. So, using any sweetner to your own taste is what you choose. This ice cream is a dream come true….I have been trying so many recipes….and fails every time. Thanks for the recipe!!! Also I use Lily chocolates chips….chopped them to tiny pieces….so yummy. Thaaank you for sharing your recipe genius. 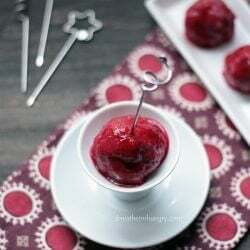 I can’t do the SF syrups because Splenda gives me a crazy headache, but I use this recipe as a guide in all other respects for all the SF ice creams I make now. I love the microwaving tip–works so great! Thank you for making low carb so doable! Sorry for a question on an old post :) How much Swerve or Truvia would you use? I am not a huge fan of Splenda. 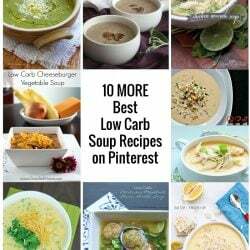 Thank you so much for all of your recipes, they have really helped me expand my low carb lifestyle! Could you use crushed up mint leaves instead of colouring and flavouring? You could but the texture might be strange. 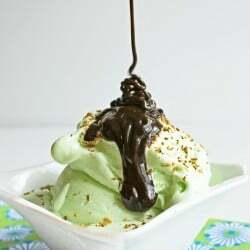 Better to steep your cream in the muddled mint for an hour or too and discard the leaves before making the ice cream. So I took this awesome recipe and went a little crazy with it. I picked up a variety of sugar-free Torani syrups and made a couple simple substitutions to broaden the flavor choices. My wife and I love it! Thanks Mellissa! I bought an ice cream maker this week. This is to be my first try at homemade ice cream :-). The bowl is in the freezer (might take up to two days it said to freeze), and the cream mixture is in the fridge! I also tried some low-carb bread in my bread maker this afternoon, but not sure how that’s working, LoL! 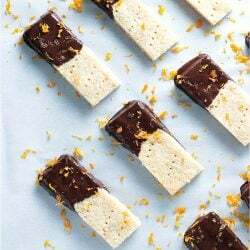 Thanks for this recipe – I LOVE mint! Hope you liked it Cindy! The waiting for the bowl to freeze is the worst part and it takes forever! When we had a house with a basement and an extra freezer down there, I just left the bowl in there at all times so I could make ice cream on a whim, now I don’t have room in my small freezer to leave it in there all the time so it takes several days of planning to make ice cream! This looks FABULOUS! I love love love mint ice cream. I’ve recently gone LCHF and am thrilled to find ice cream I can eat. PLUS we got an ice cream maker as a wedding gift. Woohoo! Question: where do you get your SF chocolate sauce? Or do you make it? Made this tonight, turned out delicious! Added chopped SF dark Hershey’s bars after churning. could this be recreated with other flavours than mint with the same process and ingredients? say adding sugarfree strawberry syrup or vanilla extract? Yes Morgan, you can use this as a base recipe for other flavors! Mellissa, you are a genius! I had high hopes for this recipe and was not disappointed. It tasted every bit as good as your picture makes it look! I really didn’t believe a low carb, sugar free ice cream could be this much like a high quality, full sugar ice cream. I did have to go to World Market to find the peppermint flavor of Torani syrup, after trying Walmart and another grocery store. Also, I added chopped roasted almonds and chopped 90% chocolate to the mix at the end. We liked the additions. One of the benefits to making your own ice cream is that you get to make it whatever flavor you (or the kids) wants! Thanks for sharing this recipe. Isn’t the syrup a sugar? So then if it is, that wouldn’t be sugar free? It’s a sugar free syrup that is sweetened with splenda so it is still sugar free. Just make sure you buy the sugar free one and not the regular one and you are good to go! This is probably the hundredth comment you have read on what an amazing job you do. You know..creating diabetic friendly, gluten free, low carb, sugar free deliciousness-ness. I just found your blog today and I’m amazed, awed, appalled, excited…glad….that I can get to now cook yummy and even *sweet* things! Not have to feel the sugar rise explosion through my body.. (specially now that I’m pregnant and everything affects me even more). I just wanted to thank you for using your brilliant intellect (google helps doesn’t it?) and coming out with these amazing recipes for your health and ours! It’s a sweet thing indeed. Thank you! Thank YOU Laura for taking the time to leave such a “sweet” (see what I did there?? tee hee…)comment! 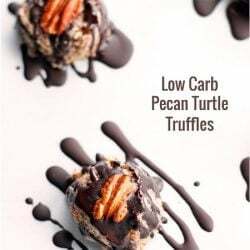 :) Congrats on the pregnancy and I hope these recipes help you manage your own sugar cravings as well as they do for me! What? FFFR again! Sweet! I’m on a roll – woot woot! ;) Glad you like the ice cream JW – I will say that it needs a couple of minutes to soften back up when you take it out of the freezer to enjoy the best texture when you’re eating it. Just had some more last night and still loving it! Thanks for the feature – FFFR rocks! I’m going to finish off the rest after I put my son to bed and I can’t wait! :) I guess start with less color and keep adding until you get the tint you want – it’ll taste good no matter what color it turns out though! 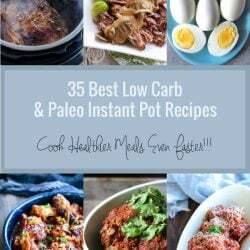 Again, another fabulous low carb recipe. I will have to try this. I think I need to get some of the sugar free syrups! Thanks Connie, hope you like it! You could probably use splenda or stevia and mint extract in the absence of the syrup but I do think the syrup helps the consistency. I love all of the sf syrups. I bought a bunch and haven’t even tried them all yet! Definitely makes a difference in the desserts and opens up a lot of new flavor options! Gosh, this looks so great right now!! I wish I had an ice cream maker! I have never made homemade ice cream before, but if I ever do…this one is the first to be tried! Pinning! Thanks for the Pin Lisa! Don’t let lack of an ice cream maker stop you, as long as you stir it 4 or 5 times during the freezing process it will still be delicious and creamy! Let us know if you try it! Cream is another food that is non-standard throughout the world so just wondering the percentage of milk fat in your “heavy cream”. In Australia we get 35% milk fat usually thickened with gelatin, and 45% milk fat, called pure cream or sometimes double cream. Actually I should have specified that I used heavy whipping cream which is required to have 36% or more of milk fat. 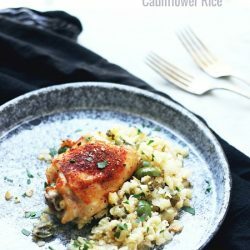 The brand I used for this recipe doesn’t give a percentage but I usually use an organic heavy whipping cream that I get at Costco – I think the name is Farmland or something like that. I haven’t seen double cream around here but I will look next time! Haha! Good on you … good method! Funnily enough, “Bacon & Egg Ice Cream” from Chef Heston Blumenthal came about from a mistake – scrambling the eggs. Lots of technology in there, but if backward cavemen like me want to try this out, it’s a case of gently warming heavy cream with egg yolks, allowing it to air cool and then popping it in the freezer, whipping it every 30 minutes until you just can’t anymore. The sweetness from coconut milk works well for me with no need for non-sugar sweetener. Stevia is a banned food in the UK anyway. This does remind me to make ice cream again – I’ve been on a real Panna Cotta kick recently (how good is Panna Cotta?) and think I’ll try out some proper wacky concoctions – pistachio and wasabi? Mint, too, with coconut. That sounds like a combination as daft as the Three Stooges, yet could work so well. Again, inspired … thank you. Hey Paul! What??? Stevia is banned in the UK? Must. Google. Now! Ok not RIGHT now but as soon as I finish this comment! I like the sound of all of your wacky concoctions! Oddly enough I have never made Panna Cotta but I’m going to put it on my list of things to try soon! Thanks!! Ok, googled it and according to what I read from several sources it’s believed to be banned because it provides too much competition to the chemical sugar substitute products big business and the govt are profiting from. Whether this is true or not I don’t know but my main concern was safety in using it which doesn’t seem to be the issue. Bummer for you guys though! Actually it was recently legalized over here in the UK. I have recently started seeing Truvia appear on the shelves and also has been advertised on tv. Great looking icecream by the way! Thanks Liam! It tasted as good as it looked! :) I use the Truvia brand or the PureVia brand over here too – whichever I can get cheaper when I stock up. I used to use Splenda which is Sucralose but switched to Stevia because it’s a more natural product. The taste took some getting used to though!